Keyword research is part of the game when it comes to online marketing or article marketing; however, people often just recommend the premium research tools which are expensive at best and rip off at worst. Reason being is internet marketing gurus, whose blogs are viral and people value their opinions, are often an affiliate of those premium tools. So, when you buy or subscribe with that hefty monthly fee, they get a significant portion of your hard-earned money. I have no problem people getting paid by recommending good and useful products to their loyal visitors, but they are merely hiding the truth and not showing all the options to their visitors. The fact is, there is a tool like Google Keyword Planner available which is not only capable of generating the most relevant keywords in your niche but free too. How to get this google keyword builder free , I’ll tell you here shortly. To make this fair, let’s compare a few of the premium paid tools and the Google keyword builder. SECockpit: This is something you say like the sword of king Solomon, such mighty this tool is! The working mechanics are simple and universal like all other keyword research tools in the market. Here also you have to put a main keyword in the search box, and then it churns out all related keywords. But the similarity ends there. What this thing does to generate all those keywords is simply incredible and never before heard of! It searches and combines results from various sources like Moz, Google Adwords, Trends, Suggests, Related searches, Youtube Suggest, Amazon, etc. and then compile a list based to the traffic volume, buying potential, competition analysis, and difficulty and show you the end result in a nice-looking UI. Trust me; this tool is worth every penny they charge. Moreover, the best part is, you get 7 days trial absolutely free which is more than enough for anyone to gauge the potential of this keyword builder tool. And if you’re just starting your online business and can’t pay the monthly subscription, why not take the benefit of this 7 days free trial and cancel the subscription before it charges. Keywordshitter: The name might be funny, but it’s a potential game-changer for those who don’t have enough money to subscribe a paid keyword research tool, as well as for the professionals alike, due to its simple and powerful function without any fuss. Once you put a primary keyword into the box and hit the button, it literally starts generating keywords, from scrapping the “autocomplete” feature in the google search. Sounds great, isn’t it? Particularly when it costs zero, nada, zilch! However, it just offers that only and nothing else, no data analysis of the keywords is being provided which you will get from other paid options. So, if you got some money, you can better use this with the conjunction of other premium tools. Google Keyword Planner: Contrary to what some of those marketing gurus preach, this one is the best among the paid and free altogether. The reason is pretty straightforward. This tool is created by Google; the data this tool provides comes straight from Google’s kitchen; what else you want? People say that this tool lost its past glory currently as Google severely limited the volume and analytical details of keyword data. I admit that’s true. 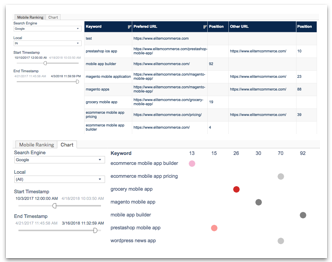 While, even after so much fuss, this tool is still the most reliable keyword builder out there, hands down.